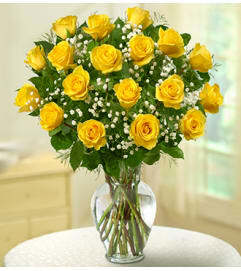 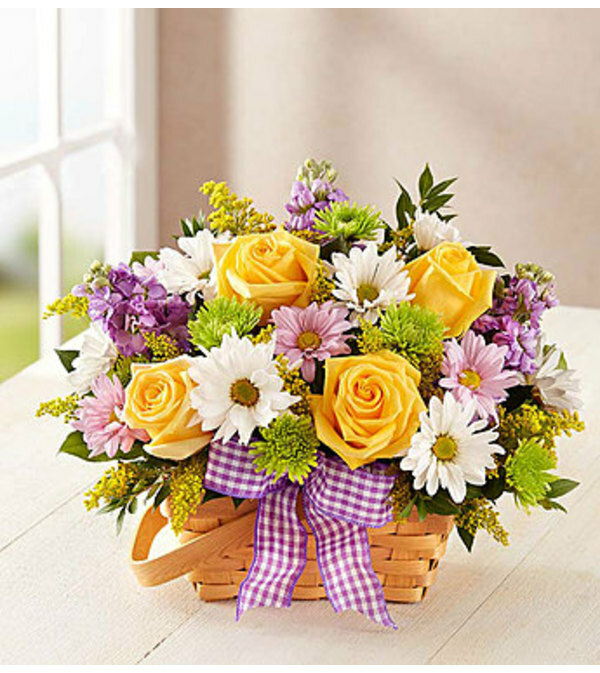 Send your best wishes for a springtime full of smiles with our garden-inspired bouquet! 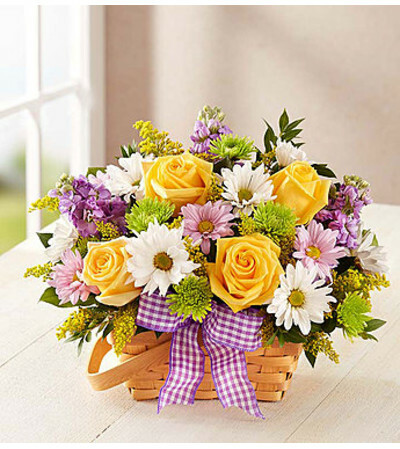 A vibrant mix of blooms is hand-arranged inside a lovely split wood basket and accented with a sweet gingham ribbon for a fresh-from-the-meadow charm. 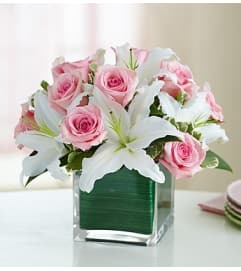 This is a wonderful gift for special celebrations or simply to welcome the season in style.